Caroline experienced first hand how nutritional therapy and a diet tailored to meet her personal needs improved her health and vitality. That was 1997 and her interest in the subject grew from there. 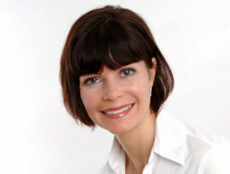 She is now a fully qualified naturopathic nutritional therapist having trained with the Natural Healthcare College . She is a founding member of the NNA, member of the GNC and CNHC and is bound by their Code of Ethics. She has full insurance to practice. Caroline has a 20 year background in the corporate sector and understands the stress and pressure of working life today and how this can impact on health and wellbeing. Free 15 minute no obligation consultations! Specialist in: Naturopathy, Nutritional Therapy.